Your first $100k . No Facebook Ads. No Funnels. Minimum Tech. 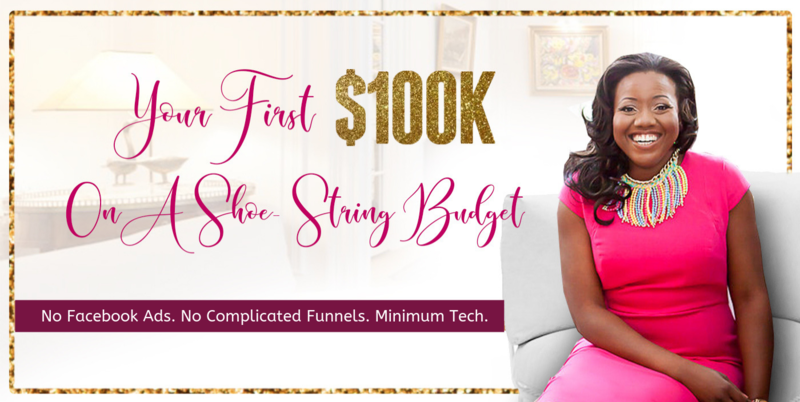 If You are an ambitious new(ish) coach determined to grow fast without sacrificing faith, health or family in the process, this can help you make your first $100k in your coaching business even if you are still figuring out all the “clicks” “funnels” and “opt-ins”. 3 Months of 1:1 Accountability, Mindset, Strategic thinking and a loving kick in the pants whenever you need it. More time with your family? Lucrative speaking opportunites? More sales? Launch your course? Host your first high-ticket live event? Whatever your goal, you KNOW what you want to achieve in the next 90 days. This is where you get support and specific guidance to get it. Be part of an initmate group of 6 business owners to join me in Barbados. 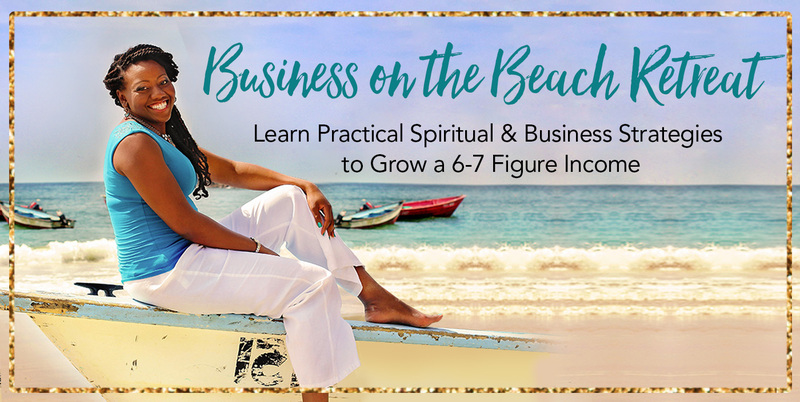 Spend a week hanging out with me in an easy breezy, laid back luxury villa in beautiful Barbados… basking in the warm sunshine……while you and I work together on dramatically growing your business? As a new coach or you’ve been coaching for years you know that “cashflow is king”. Yet there is nothing worse than having people that you just know you help, but just cant close, clients who wont pay on time or those “what the heck do I say” situations. 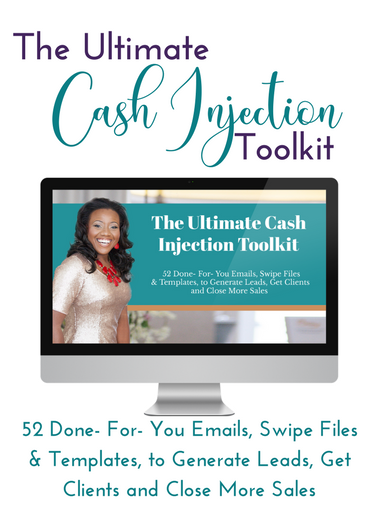 The Ultimate Cash Injection Toolkit has an email, swipe file or template for just about every situation. 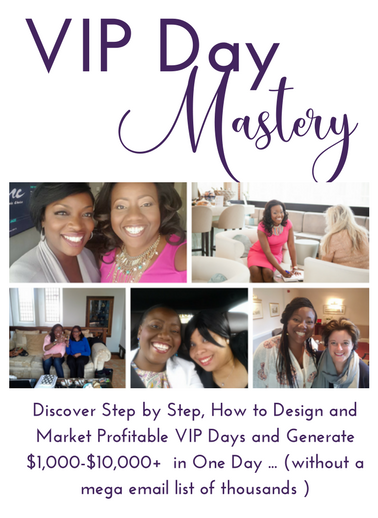 VIP Days are the quickest, simplest and most direct path possible to getting high-paying clients and creating cash flow in your business right now. Best of all, you DON’T have to wait ’til you have the perfect niche, a beautiful website, or big list to make it happen. 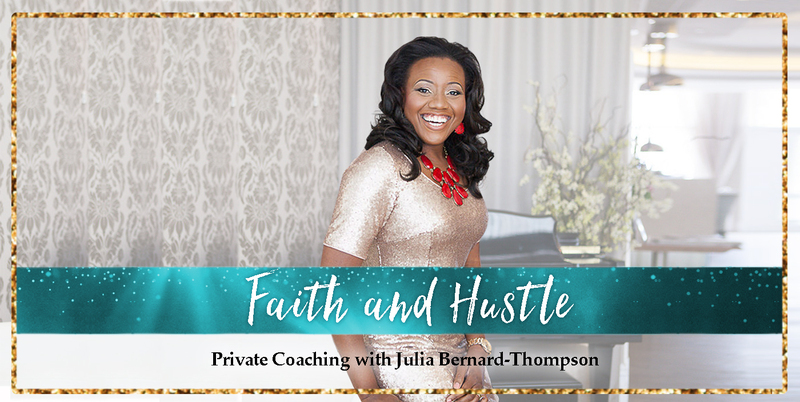 If you are are ready for that one simple key that will up-level you and your revenue immediately (and without any of those soul-sucking, complicated Internet launches) this is for you. Legal Disclaimer: Every effort has been made to accurately represent our program and its potential. Each individual’s success depends on his or her background, dedication, desire, and motivation. Facts and figures on this website are believed to be accurate, but are not intended to guarantee that anyone will achieve the same or similar results.